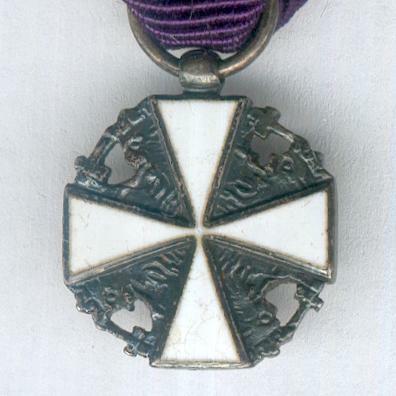 Miniature silver-edged white enamel cross pattée with silver lions of Finland between the arms, with loop for ribbon suspension; the face with a blue circular central medallion within a silver ring bearing a white and silver stylised rose; the reverse plain white enamel; diameter 13.98mm (0.55 inch); a small pinhole to the left arm of the face from the time of manufacture, a slight chip to the inner edge of the right-hand arm of the face, age-toned; on correct ribbon. 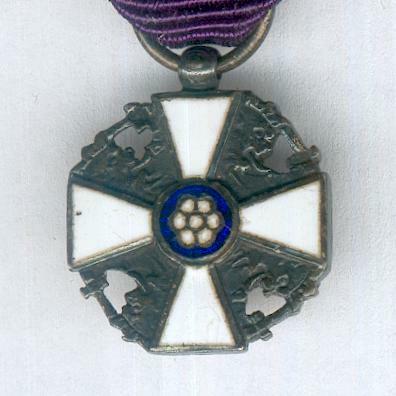 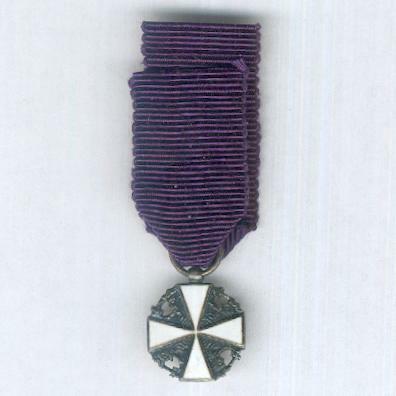 The Order was established on 28 January 1919 to replace the Order of the Cross of Liberty and may be awarded to both military and civilian Finns and foreigners for outstanding acts benefiting Finland. 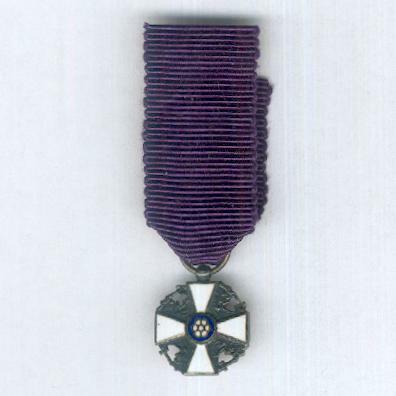 It was designed by the great Finnish artist Akseli Gallen-Kallela (1865-1931).